Make your own Picture Pet carrier ID Tag perfect for pet carriers, crates, kennels, cages and great for LUGGAGE too! Vinyl pouch no laminating equipment or Iron needed. Easy slip in design. Comes with name tag just print your pets picture then slip into the sleeve and attach to carrier. Sold in 2pks and 6pks comes with Free Shipping. 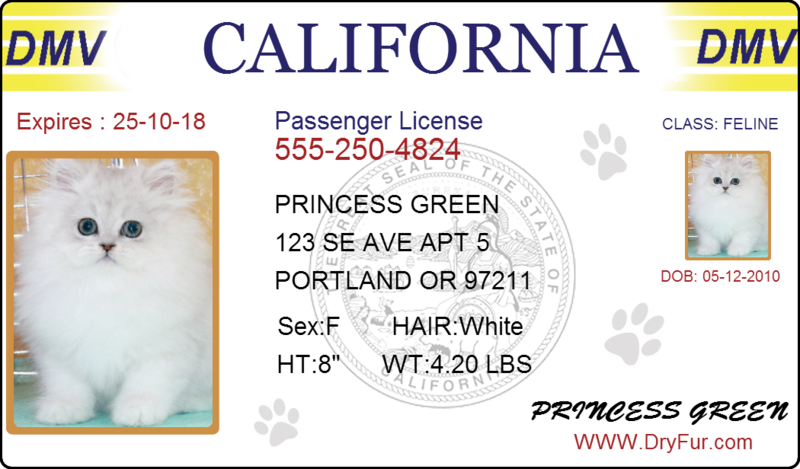 Make Your Own Pet Drivers License - FREE Online APP ! Enter your pets info upload a picture then download, print and cut out. Then you will want to seal and preserve your work with our Laminated Tag Holders. These kennel tags are great. I filled in the provided ID Card. Printed a picture of my dog, cut the picture to size and put it also in the pouch. Quick and easy. And the pouch can be re-used.